Speaking to thousands of police chiefs gathered Tuesday in Chicago, President Barack Obama briefly addressed the gun violence afflicting his hometown and urged cooperation between police officers and communities. Obama listed statistics about lower crime rates nationwide, saying the crime rate today is half of what it was 20 years ago. He admitted, however, that violent crime in some cities, like Chicago, has increased. "I live on the South Side of Chicago, so my house is pretty close to some places where shootings take place," Obama said. "Because that's real, we have to get on top of it before it becomes an accelerating trend." Chicago saw one of the most violent Septembers in years, with two consecutive weekends of more than 50 people shot. In a single day, on Sept. 2, nine people were killed and at least 12 others were wounded in shootings across the city, making it the deadliest day in the city in over a decade. 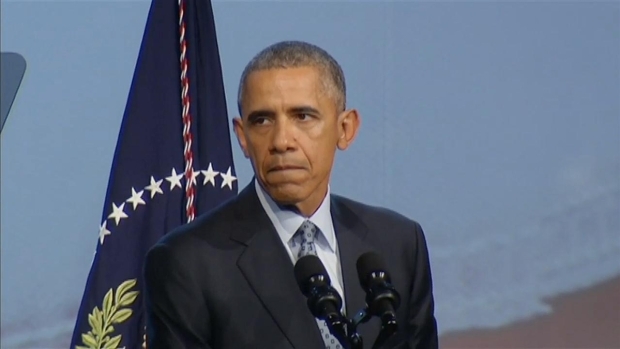 President Barack Obama spoke about gun violence and gun control in Chicago at the International Association of Chiefs of Police conference on Tuesday, Oct. 27, 2015. The president then focused on criminal justice reform and gun control. He spoke about the police-involved shootings that have painted national headlines in recent months, saying "anecdotal evidence" should not be used to change policy. Instead, police and the public need to stick to the facts, he said. 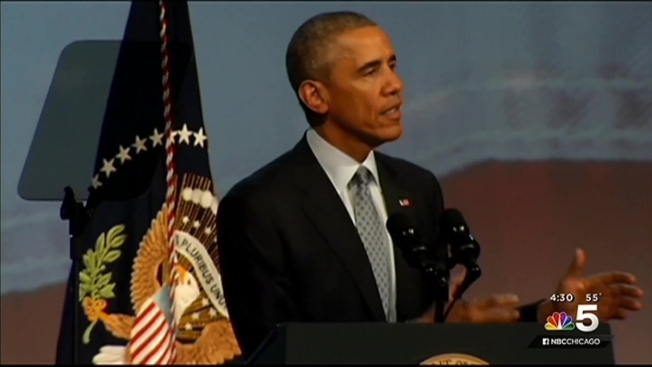 Obama spoke at the International Association of Chiefs of Police. The five-day event is the world's largest law enforcement conference, with more than 14,000 professionals in attendance. This year's conference came on the heels of other similar gatherings addressing criminal justice reform, including one in Washington, D.C., earlier this month. Despite the president's call for cooperation between officers and the communities they serve, the beginning of the conference was marked by protests. On Saturday, 66 demonstrators were arrested for blocking traffic. Many of them were protesting the police killings of Rekia Boyd in Chicago and Michael Brown in Ferguson, Missouri, among others. On Monday, demonstrators gathered outside McCormick Place, where the event was held, and took aim at gun makers who were exhibiting at the conference. The group called for "smart gun" technology that would require a gun to have fingerprint recognition in order to fire and help prevent the sale of guns to the wrong people. Obama echoed the calls of the demonstrators to keep guns out of the hands of the wrong people and said it was easier for people in some communities to find guns in their neighborhoods than to find fresh vegetables at a supermarket. 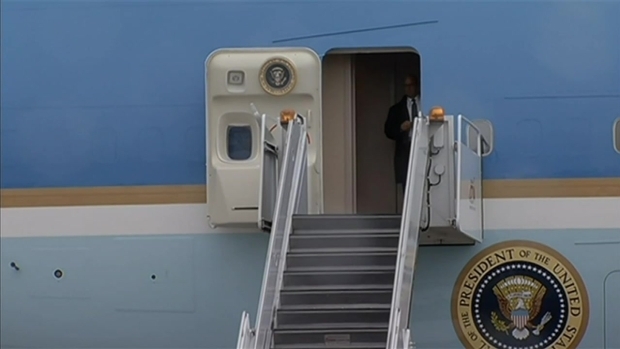 President Barack Obama arrives at O'Hare Airport for a visit to Chicago.